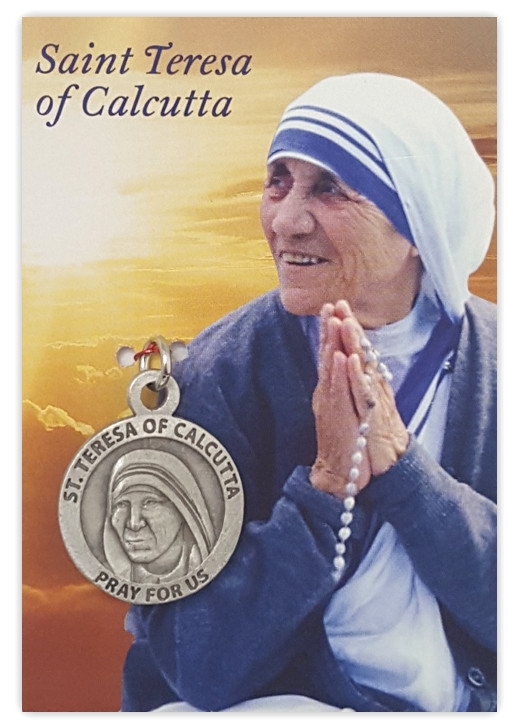 Pewter St Teresa medal on card. The fruit of silence is PRAYER. The fruit of prayer is FAITH. The fruit of faith is LOVE. The fruit of love is SERVICE. The fruit of service is PEACE. God Bless You! Mother Teresa"
Medal measures: 2.2 cm diameter. Inscription on the reverse side: "Saint of Mercy 2016"